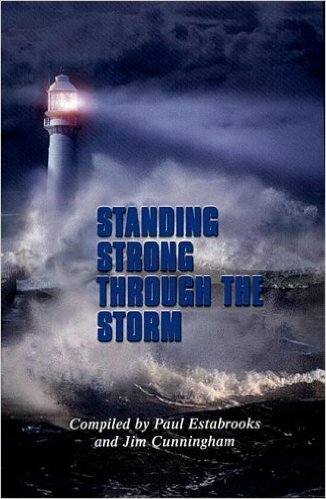 In the fourth year of King Hezekiah, which was the seventh year of King Hoshea son of Elah of Israel, King Shalmaneser of Assyria came up against Samaria, besieged it, and at the end of three years, took it. In the sixth year of Hezekiah, which was the ninth year of King Hoshea of Israel, Samaria was taken. The king of Assyria carried the Israelites away to Assyria, settled them in Halah, on the Habor, the river of Gozan, and in the cities of the Medes, because they did not obey the voice of the LORD their God but transgressed his covenant-- all that Moses the servant of the LORD had commanded; they neither listened nor obeyed. In the fourteenth year of King Hezekiah, King Sennacherib of Assyria came up against all the fortified cities of Judah and captured them. King Hezekiah of Judah sent to the king of Assyria at Lachish, saying, "I have done wrong; withdraw from me; whatever you impose on me I will bear." The king of Assyria demanded of King Hezekiah of Judah three hundred talents of silver and thirty talents of gold. Hezekiah gave him all the silver that was found in the house of the LORD and in the treasuries of the king's house. At that time Hezekiah stripped the gold from the doors of the temple of the LORD, and from the doorposts that King Hezekiah of Judah had overlaid and gave it to the king of Assyria. The king of Assyria sent the Tartan, the Rabsaris, and the Rabshakeh with a great army from Lachish to King Hezekiah at Jerusalem. They went up and came to Jerusalem. When they arrived, they came and stood by the conduit of the upper pool, which is on the highway to the Fuller's Field. When they called for the king, there came out to them Eliakim son of Hilkiah, who was in charge of the palace, and Shebnah the secretary, and Joah son of Asaph, the recorder. The Rabshakeh said to them, "Say to Hezekiah: Thus says the great king, the king of Assyria: On what do you base this confidence of yours? Do you think that mere words are strategy and power for war? On whom do you now rely, that you have rebelled against me? See, you are relying now on Egypt, that broken reed of a staff, which will pierce the hand of anyone who leans on it. Such is Pharaoh king of Egypt to all who rely on him. But if you say to me, 'We rely on the LORD our God,' is it not he whose high places and altars Hezekiah has removed, saying to Judah and to Jerusalem, 'You shall worship before this altar in Jerusalem'? Come now, make a wager with my master the king of Assyria: I will give you two thousand horses, if you are able on your part to set riders on them. How then can you repulse a single captain among the least of my master's servants, when you rely on Egypt for chariots and for horsemen? 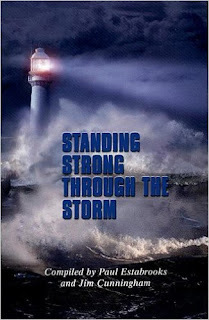 Moreover, is it without the LORD that I have come up against this place to destroy it? The LORD said to me, Go up against this land, and destroy it." Francis was effective in initiating sweeping social and economic reforms. He was a popular singer, often called "God's Troubadour." His most famous hymn, "Canticle to Brother Sun", has stood the test of time. Francis founded one of the strongest and most dynamic religious orders in Christendom. Today we find Franciscan Friars in both the Roman and Anglican communions. This is a story of a heart that was as hard as stone, turned into a heart of love. If anyone deserved to have a hardened heart, it was Bartilia. Life was hard for her from the very beginning. Born in a poor family in Honduras, Bartilia only attended school until second grade. After that she was made a worker on a farm. Every morning at 3 a.m. she would wake to do her work. She first had to feed the many animals. She then would work on making tortillas from scratch, starting with rolling the corn to break it down to flour consistency. She was so small, they fashioned a stool so she would be tall enough to do her work. At lunch, she would dish up the food for all the workers. This little 8 year-old girl didn’t get to play with dolls and toys. She was busy working. After her mother died, when she was only 10, her father sold her into slavery. It was then that things got much worse. She was used in every way possible, even for the sexual desires of men. When she worked, if she made a mistake, they beat her, or make her kneel naked in the scorching Central America sun, holding a heavy rock over her head. If she allowed the rock to rest on her head, she was beaten. Eventually one kind lady helped her to escape. At only age 14, she fled to Nicaragua. Eventually, she came to America. It was here she gained not only freedom, but the true freedom that Christ had to offer. Through her many trials, Bartilia’s heart had grown as hard as possible, molded that way from a child. Bartilia wanted nothing to do with God. She did not even want to hear the name Jesus, but one day at her brother’s funeral she was forced to sit and listen. God spoke directly to her. He wanted her to accept the love that she so lacked as a child. He was calling, because Bartilia needed His love. She never received love from her earthly father, but her heavenly Father had a love that was like none other. He spoke in gentle tones, never forcing Himself as men had in the past. She heard the message, and it did begin to penetrate her hard heart. When Bartilia gave in to the Lord’s bidding it was like dynamite had broken her concrete heart into pieces. The flood gate of tears, poured out from her. She had found the Lord, even though He was already there. Jesus came in and replaced her heart of stone, with His heart of love. He healed her from all the hurts of the past. This is a story of a heart that was as hard as stone, turned into a heart of love. La palabra de Dios es viva y poderosa, y más cortante que cualquier espada de dos filos. Jesus instruction to His followers to be peacemakers is not as easily practiced in some areas of the world as we in the west might think. Tribal differences can cause deep divides. In April 2011, Open Doors sponsored a Christian youth camp in the southern Philippines bringing together 115 youths, mostly believers from Muslim background (MBB’s) from four different Muslim tribal groups. The goal of this camp was to show the youths that Jesus is the ultimate source of peace. When we have Him in our hearts, then, we can have peace within ourselves, with others and with our environment. Every activity of the camp was also designed to foster awareness and appreciation of each other’s tribal identity. Short drama presentations every night gave the youths a chance to tell their story. Bringing these ethnic groups to a point of understanding and acceptance was the crucial part of the camp. During Bible sessions, facilitators combined their lectures with tasks that encouraged campers to express their thoughts and feelings. They described their idea of peace, distinguished between peaceful and conflicting situations, and discovered their biblical responsibility as peacemakers taking after Christ’s example. While peacemaking starts with one’s self, it does not end there. It must affect other people’s lives. And so, the campers did community service in three neighboring areas during the camp. But the true litmus test for a peacemaker is when a conflict breaks out. The camp was on its homestretch when two campers from different tribes got tangled in a fight during the morning assembly. It was about to turn violent, until other youths stepped in. The two youths were brought to the camp director. Everyone was clearly upset as they streamed into the classrooms for the day’s round of Bible sessions. It was an important lesson for the youths to learn, especially for those who lived in conflict areas. After the session, many campers approached the two volunteer actors and asked their forgiveness for judging and condemning them. 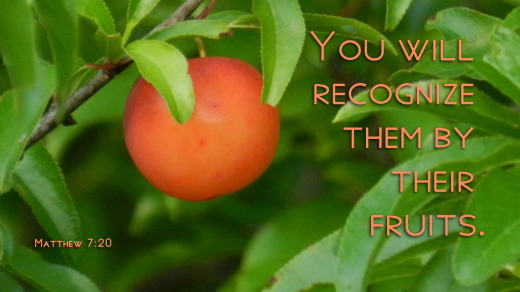 RESPONSE: Today I will take practical steps in being a peacemaker for Jesus wherever I am. PRAYER: Pray for young tribal Christians who struggle with Christ-like actions and responses in conflict situations. What Does Living Holy Look Like? When I think about the books in the Bible that encourage and inspire me, the Old Testament book of Leviticus would rank near the bottom. Not kidding. It’s a tough read. 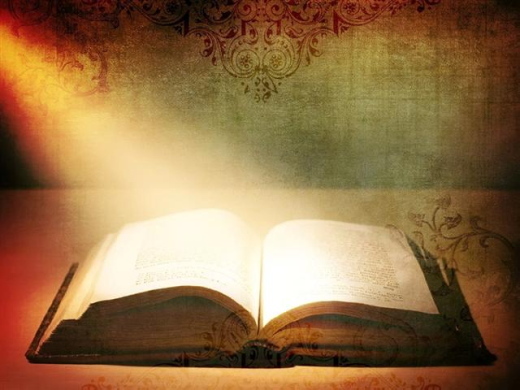 But it’s important to approach God’s Word holistically, so I have to take the good with the bad… the easy-to-read chapters with the hard-to-get-through chapters. And I’ve found that in doing so, God reveals powerful, life-changing lessons. Here’s a doozy He taught me recently that will change the way you approach your day. Leviticus is a historical narrative that reveals God’s holiness in ways large and small. It’s intense. Full of complex instructions (detail upon detail, instruction upon instruction) given from God to Moses so the sins of the Israelites could be covered through a sacrificial system. So that God’s people would learn to recognize, respect and revere His power, righteousness and majesty. The long and short of it is this, offerings were to be brought to God on behalf of the Israelites, mainly: Burnt Offerings, Grain Offerings, Fellowship Offerings, Sin Offerings and Guilt Offerings. The priests made these offerings, in strict adherence to the law established by God himself, so that the Israelites could be forgiven and restored in God’s sight. As New Testament believers, we are free of these requirements. Jesus died on behalf of all mankind so that our sins could be forgiven, making these offerings no longer mandatory. He poured out his love and life for us in crimson sacrifice. The Bible tells us that when you and I confess our sins and place our faith in the finished work of Christ, that we are fully forgiven and restored to the heart of God. After Moses had told his brother Aaron all that God had instructed, the Israelites gathered to worship the Lord and present their offerings according to the Lord’s instructions. (Leviticus 9) The ceremonies of sacrifice began near the Tent of Meetings and God met them there with fire. After the sacrificial ceremony was well underway, Aaron’s sons decided to do their own thing. They stepped outside of God’s revealed will and brought offerings in a way that they wanted to. And God consumed them with fire. Struck them dead before all of the people. Oh. My. Heart. Knowing how often I set aside God’s will for my own, I read this and struggle to process. Distinguish between the holy and the common. I read this chapter and am gripped with a fresh awareness of God’s holiness. His words ring loud in my ears. These precepts are important to God, so they need to be important to me. I’m left wondering how I can distinguish the holy from the common today. How can I sift through the mundane and dust off the majestic in practical ways? What would it look like for me to separate and set aside the common from the holy in my marriage and mothering, at my work place, in my friendships, on social media…? Some answers rise in my soul as obvious. Others loom nebulous. 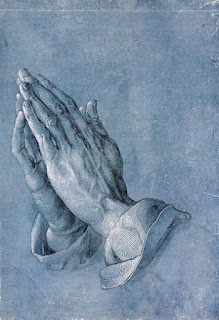 I want all to align my street-level-life with God’s sacred will, so I turn to Him in prayer and ask Him to show me. I ask Him to help me to see the holy and the common for what it is. To choose the best. His best. I ask that He would help me to turn from the unclean toward the clean. I hand over my limited perspective, selfish intentions and stubbornness. Dear Lord, You are holy and worthy of all praise and honor. Lead me in Your ways today. Guide me with Your Spirit to choose words, thoughts and deeds that bring you glory. Quiet your heart before God for a few minutes, then ask Him to reveal the common things, behaviors, thoughts and relationships that you’ve been settling for. Make a fresh commitment to pursue holiness and ask the Holy One to lead you in the pursuit. PAUSE to WORSHIP: Listen to this song, Holy Adonai, and center your heart and soul on God’s goodness. 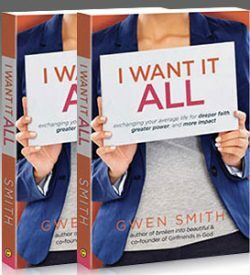 SPECIAL OFFER: If this message is where you are and you need more practical help discerning between the holy and the common, Gwen is offering a 20% OFF discount on her latest book, I Want It ALL (that has a Bible Study guide right in the back!). Get thebook discounted from her site when you use the coupon code: 20OFF. Click here to get yours now. 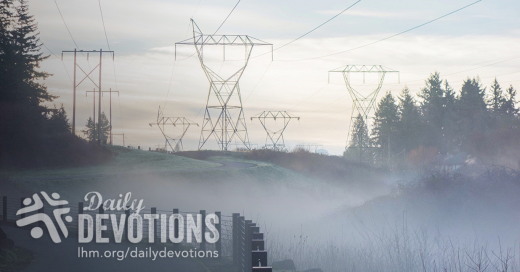 LHM Daily Devotion - October 4, 2017 "Wrong Experts"
On that list were things like soft pajamas, holding hands, a light snow on Christmas, watching a first-grader suddenly understand something, not having to set an alarm clock for tomorrow morning, taking a family picture where everyone's eyes are open and smiles are sincere. The person had apparently spent some time putting together the 100 items on their list. I agreed with some - didn't understand others. There was one item that I thought was noticeably absent. You may disagree with me, of course, but I think most people would put on their list finding out an expert was wrong. Fifty years of human observation have convinced me there are few things which give greater pleasure than seeing an expert proven to be wrong. Yes, it's probably petty, and just a little juvenile, but it's true. Think, what is your reaction when you hear experts predicted train travelers would get nose bleeds if they exceeded the blinding speed of 15 miles an hour? Don't you smile? You might smirk when I tell you Joshua Coppersmith was once arrested in Boston for selling stock in the telephone. Why was Coppersmith arrested? He was arrested because the experts knew the human voice couldn't be carried over a wire. Most people find it makes them feel good when an expert is proven wrong. Years ago, I was invited to attend the 55th wedding anniversary of a really neat couple. They were pleased as their children, grandchildren, and great-grandchildren eulogized and congratulated them. Then the gray-haired groom got up and said "Thank you." He continued: "This has been a satisfying day to have so many of you gathered here and hear the things you've said. But it's most satisfying to know our parents were wrong when they told us, "Our marriage wasn't going to last." People like it when an expert is proven wrong. Have you seen the joyful tears of a mother who gazes upon a newborn baby sleeping by her side? The mother cries because the experts have been wrong in telling her she would never have children. And you know what, the experts - the ones who had given her that sad news - cry right with her. The experts are just as glad as the mother that they've been proven wrong. If you want to see a great group of experts be proven wrong, read the four Gospels. There you will see almost every expert on the Messiah proven to be wrong. Listen to them as they call Jesus a liar, a Samaritan, demon-possessed, and insane. They said He was frightening, a magician, a heretic, a blasphemer, a threat, and someone who was too dangerous to let live. The truth is Jesus was none of those things. He was the Son of God, the Savior of the world. He was innocent of any sin, yet He carried our transgressions to the cross where He died the death we deserved. He was hated by many, but He loved us so much He became our heaven-sent ransom. He defies the experts, but still touches the little ones and brings hope and salvation to all who count Him as Lord. THE PRAYER: Dear Lord, many great human minds still do their best to pronounce their negative opinion on Jesus. Grant that, when it comes to Jesus, we may listen carefully to the Holy Spirit and Your Word, so we might not be led astray. In Jesus' Name. Amen. La última encuesta Gallup, realizada en 114 países, preguntaba si la religión era importante. Luego del análisis de la información, Gallup concluyó: "La religión tiene un papel más importante en la vida diaria de las personas de los países pobres que en las de los países ricos". En otras palabras, las personas de los países pobres del mundo consideran más a Dios que las de los países ricos. Pensemos por un momento. Tenemos un grupo de personas que son suficientemente ricas como para pensar que todas las bendiciones que disfrutan vienen de... sí mismas. Y tenemos otro grupo, un grupo de personas que no está segura de qué comerá el día de mañana, o si tendrá techo sobre sus cabezas,. ¿Qué grupo se acercará al Señor? Yo diría que tiene que ser el grupo que no está seguro de lo que el mañana les traerá. Esas son las personas que naturalmente son atraídas al Señor en busca de ayuda. ¿Cómo lo dijo Jesús? Las personas enfermas son las que necesitan un médico. Las personas pobres necesitan de Alguien que provea por ellos. Cuando las personas son atraídas al Señor porque Él es su única esperanza, ahí es cuando el Señor puede proveer consuelo. Cuando en medio de su pobreza las personas se vuelven al Señor, Él puede asegurarles que serán ricos espiritualmente. Cuando las almas enfermas por el pecado hacen una cita con Él, el gran médico del cuerpo y del alma, el Señor puede sanarles el corazón, el alma y la mente. 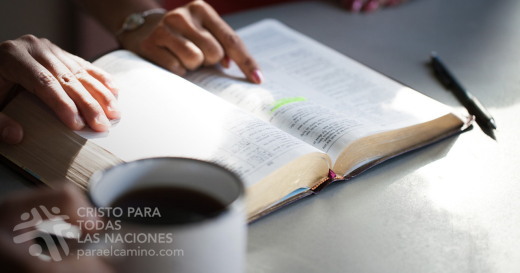 Él puede darnos el Cordero de Dios que quita el pecado del mundo. 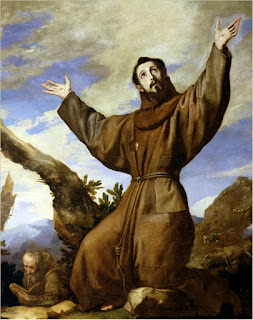 ORACIÓN: Padre celestial, haz que todas las personas sean tocadas con el poder de tu Palabra. Pobre o rico, lleno o vacío; todos ellos necesitan un Salvador. Dales corazones y mentes que oigan el llamado del Espíritu Santo. Esto lo pido en el nombre de Jesús, quien no tuvo hogar para que podamos tener un hogar en el cielo eternamente. Amén. De una historia escrita originalmente por Jenna Lyle.